Kodak, the world’s foremost imaging innovator, introduces new digital cameras and pocket video camera to capture your summer getaways. The new additions to Kodak’s EASYSHARE digital camera portfolio and HC pocket video camera line are as follows: Easyshare Mini, Easyshare Touch, Easyshare Sport and PlaySport HD video camera. Now, taking pictures of your kids wearing horse riding helmets and whatnot and sharing these photos on your favorite social networking sites will be a breeze! This entry was posted in Digital Camera, Kodak, Video Camera. Bookmark the permalink. I do have a Kodak digicam but I’m not satisfied with it. It doesn’t do a good job in lowlights and at night unless there are numerous bright lights. I thought our upgraded Kodak was going to impress me, but it didn’t…now I’m eyeing a Canon instead because most of my family and friends have either Nikon or Canon and their photos look way better than mine. Hi, Bing! I also have a Canon camera, and I’m quite happy with it. 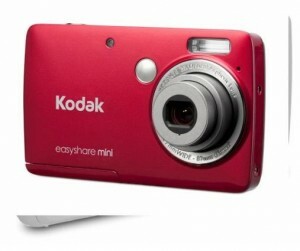 I posted about Kodak cameras so others who are looking for cheaper alternatives will know about these.